Lipsticks and Lashes: A Christmas Card Swap and 2 Bloggers Secret Santa's! A Christmas Card Swap and 2 Bloggers Secret Santa's! Hello!! I hope you’ve all had a fabulous Christmas and are enjoying this festive time of year! I have till the 5th January off work and it shall only be a 4 day week as the 9th is my birthday and I’m keeping it free to do not too much in particular! This week my aim is to properly relax, catching up on blog stuff, reading, writing etc and make some more pieces for my Etsy shop. As well as spend time with friends and family. I just hope it’s not going to fly by too quickly! 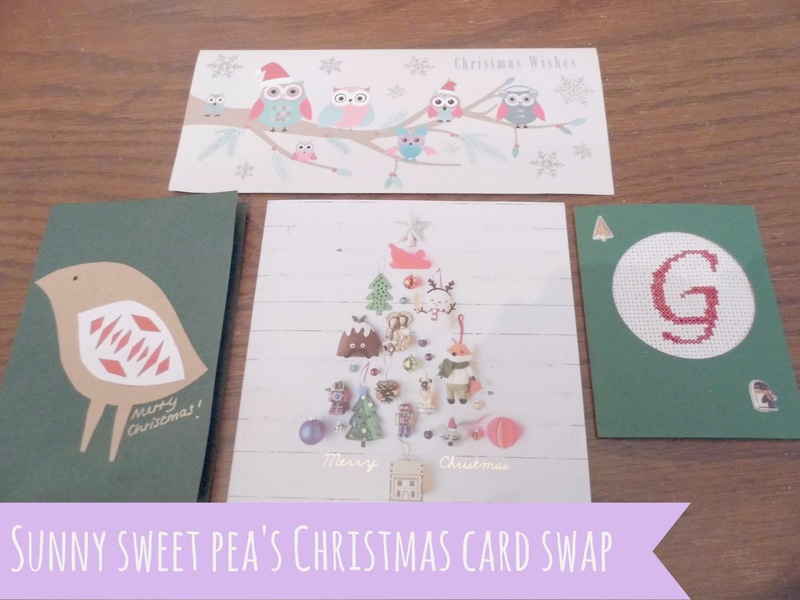 Jenny from Sunny Sweet Pea runs a Christmas Card Swap every year and I was so excited to get involved with it this year! Jenny put everyone into groups of 5 and in you need to send everyone in your group a Christmas card. I think this is such a lovely idea and I was so excited to send off my cards and receive some in return! In my group were Danielle, Rachel, Joanna and Rachael, whom I would like to say a massive thank you for their awesome cards and kind words inside them! 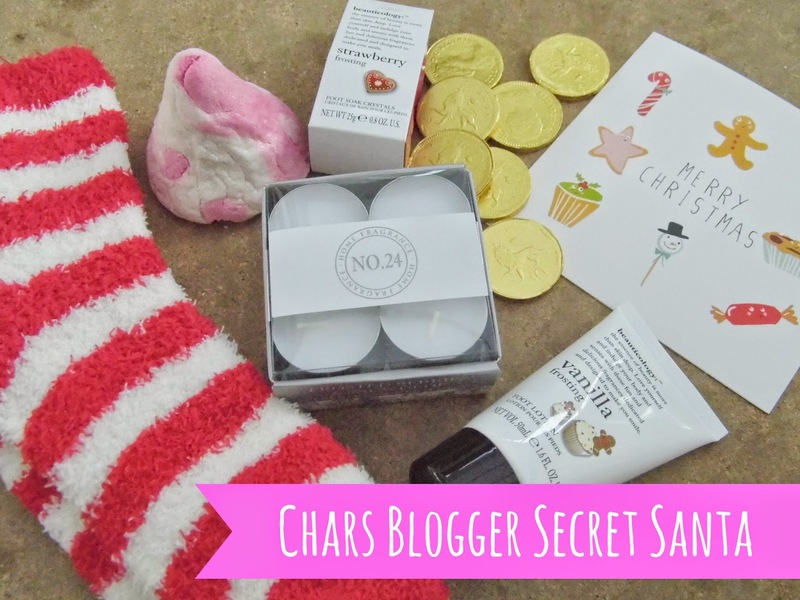 Next up are the Bloggers Secret Santa’s I received... 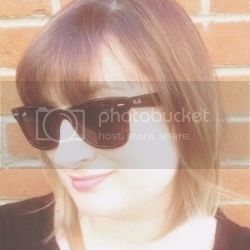 I joined in with a couple last year and loved buying treats for a blogger and seeing what I received in return so couldn’t resist signing up again! I signed up for 3 separate Bloggers Secret Santa’s but only seem to have received presents from 2 of them which is a shame. The first Secret Santa I came across this year was one Char from ‘t*rexes and tiaras’, she is one of my favourite bloggers and has the most awesome wardrobe going, if you haven’t checked out her blog yet make sure you do! I was give Janet to be Santa for and had so much fun stalking her blog and twitter trying to figure out what to get her, in the end I decided on a Tattoo colouring book as she likes tattoos like me, and I though the book was a pretty fun concept! I also got her a mug with her blogs logo printed onto it. My parcel arrived a couple of days after I sent mine with a big label on it saying do not open till Christmas day! I don’t know how I managed to do it but I did well and waited to the big day and was so excited when I finally got to open it! My Santa was Ann, and she has massively spoilt me! Inside the gift box was a pair of candy cane stripes, a candy cane bubble bar from Lush which is my favourite, some frosted berried tea light which smell amazing. I also received some strawberry foot soak crystals, foot lotion and some chocolate coins, all the ingredients for a good night in! Huge Thank You to Ann! 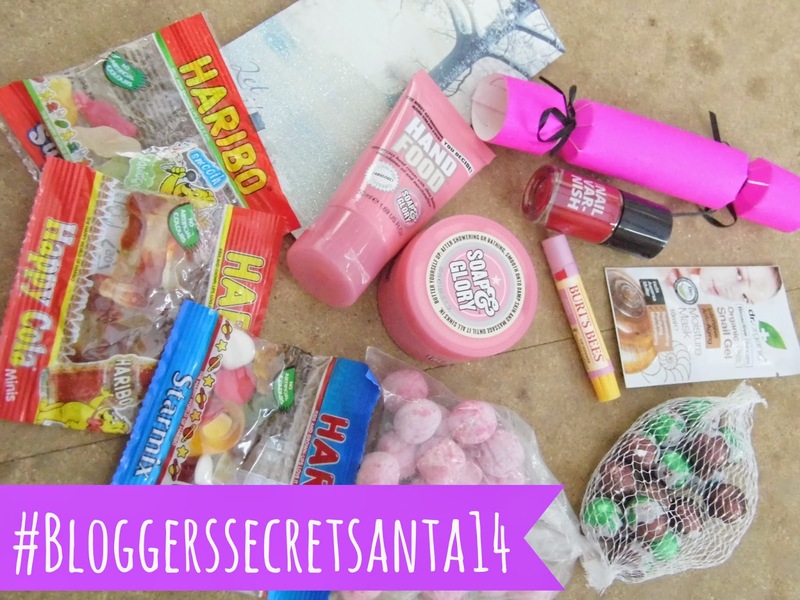 Next up is the #BloggerSecretSanta14 which was run by Jasmine and Kirsty from ‘Beauty is Perfection’ they asked me to be Santa for Lyndsey so I put together a goody box of things to create a perfect night in. In return Jasmine and Kirsty were actually my secret Santa! They sent me a fun filled box which included some of their favourite products, inside was a bright pink cracker with a nail polish inside, some Soap and Glory body butter and head cream, an organic snail gel moisture mask (unsure about this but willing to give it a go!! ), Burt’s Bees lip shimmer and a yummy selection of sweets! Thank you ladies, I feel very spoilt! Did you get involved in any secret Santa’s this year or Christmas snail mails? I did a blogger swap and received 2 huge boxes of goodies! I'm very lucky! So cute! I wish I had participated, it sounds like so much fun! (: I'm a huge fan of snail mail and Secret Santa so hopefully I'll be able to get in on the fun next year. Hope you had a nice Christmas! Oops - commented under the wrong sign-in! I absolutely loved the gifts you chose for me, and it was my favourite parcel to open on Christmas Day. Thank you so much! Thank you so so much for my amazing presents. I love them lots and will be blogging soon. Been poorly over Xmas so need to catch up.